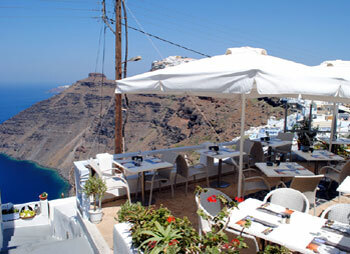 Outside area with caldera view. 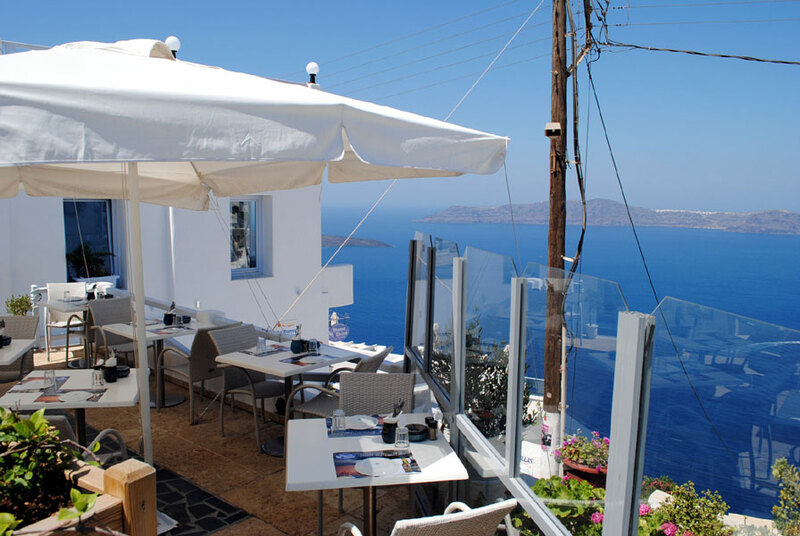 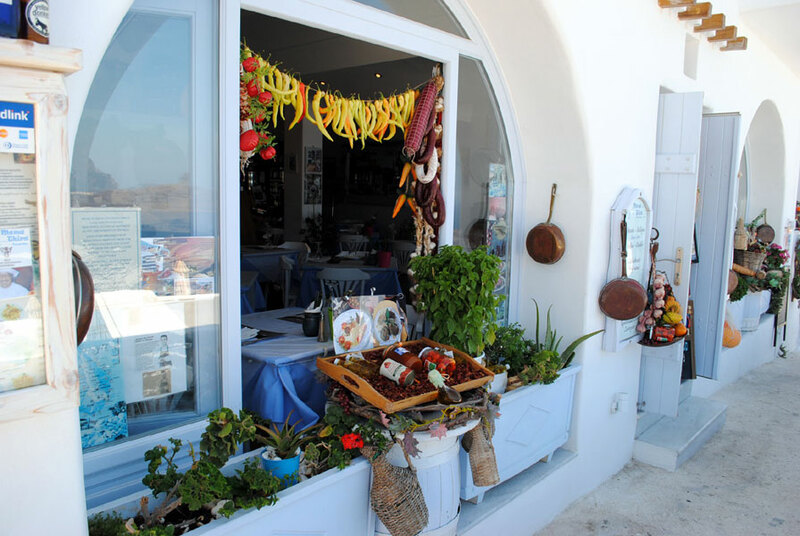 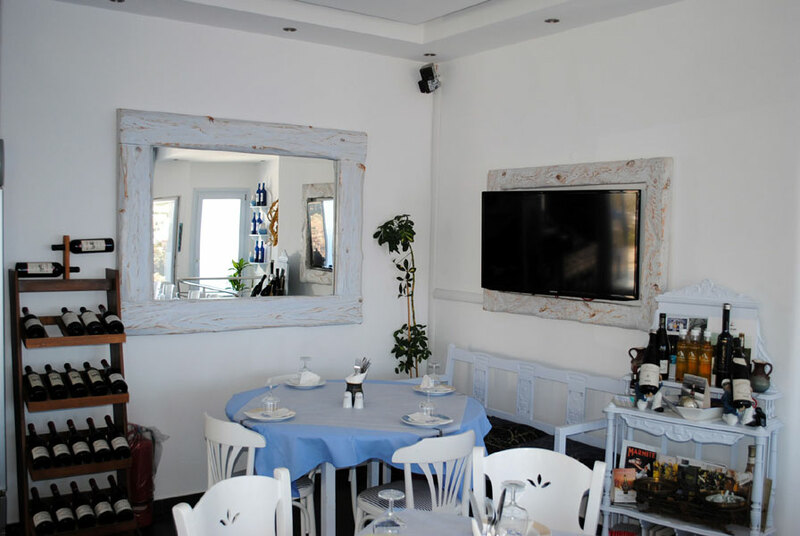 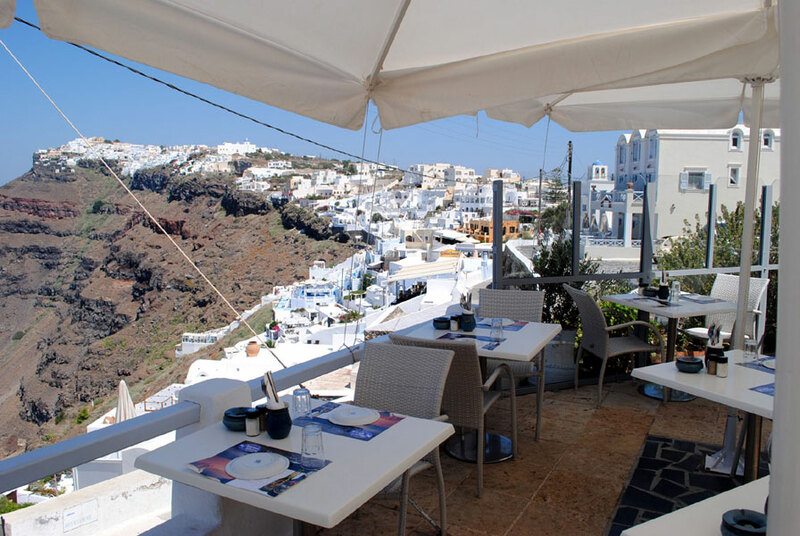 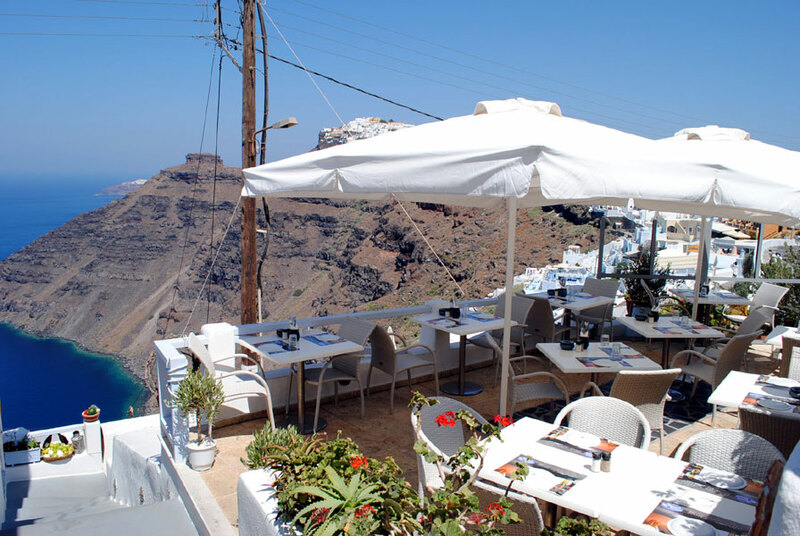 The external level of Mamathira restaurant has a breathtaking view of the caldera and Santorini's volcano. 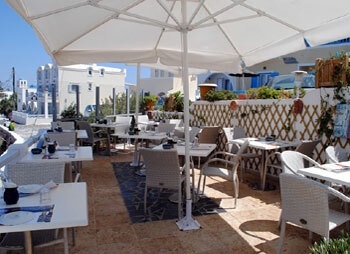 External coffee and lunch area. 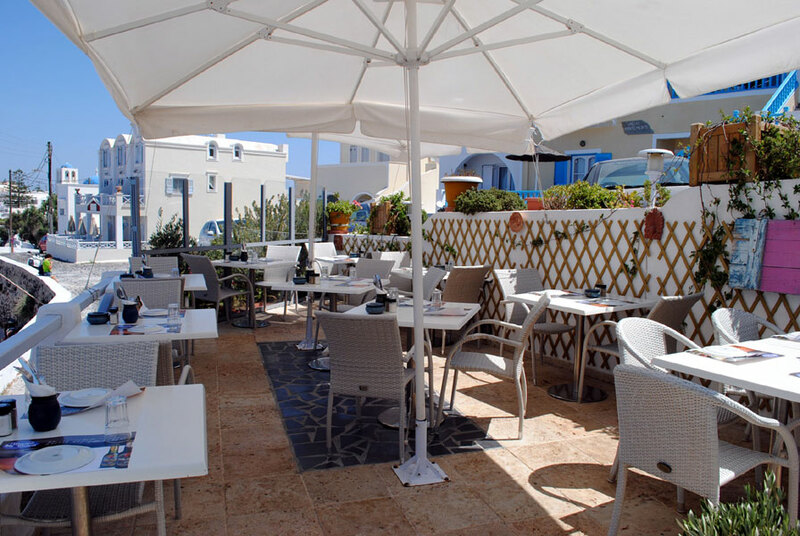 If you prefer outdoor areas then you will be happy to know that this area is always sunny has a cool breeze on several days. 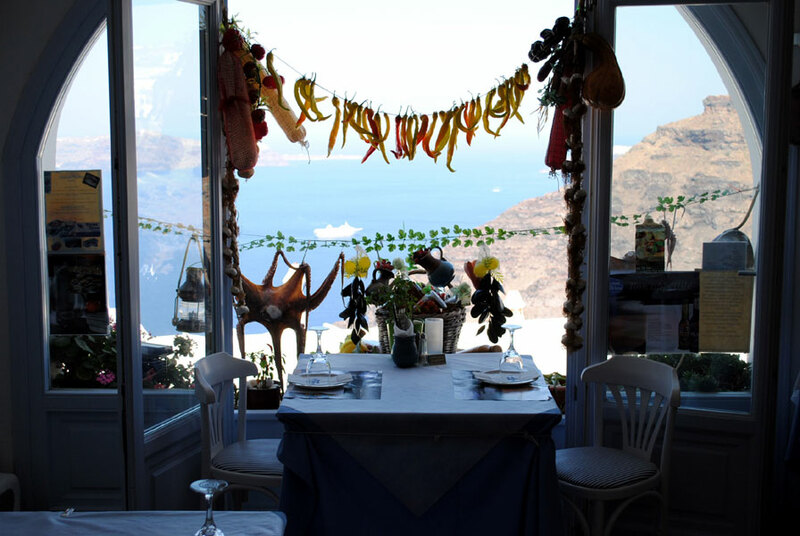 Not only you can enjoy the view towards the volcano, but your eyes will feast with the amazing Firostefani view. 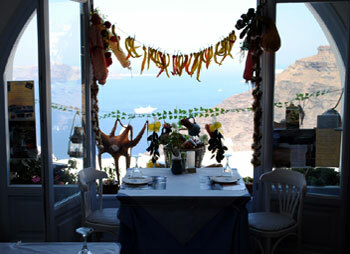 Indoor area with Caldera view. 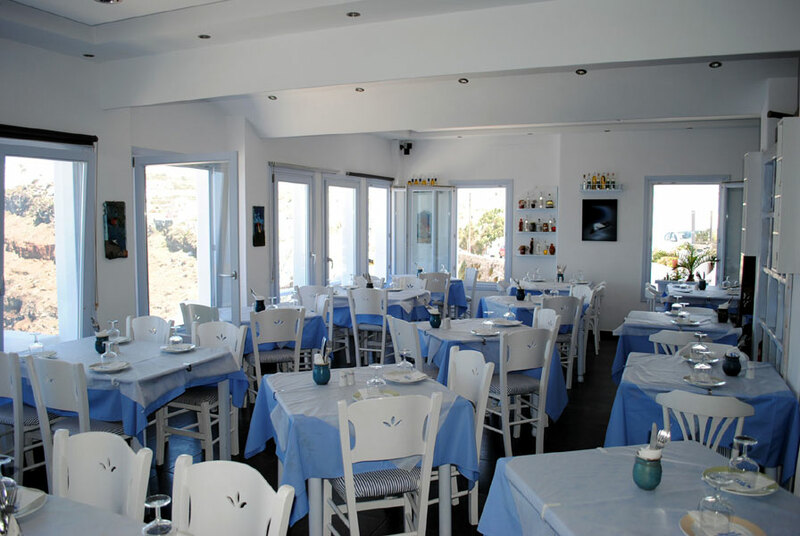 Our indoor area, on the 1st floor, offers a relaxing environment along with a view of Caldera. 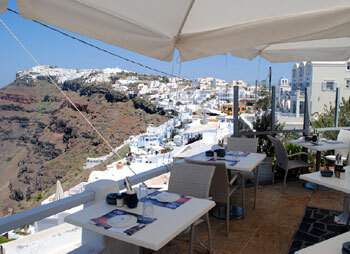 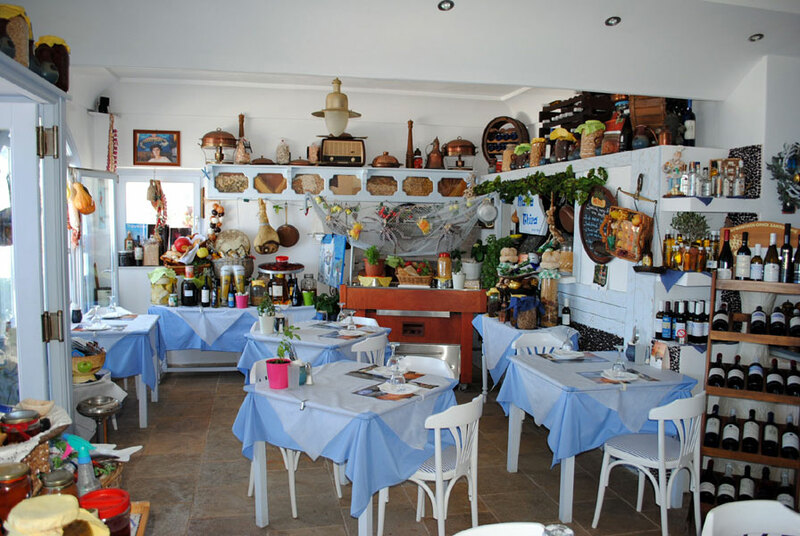 This area of Mamathira Taverna offers a crystal clear Firostefani view. 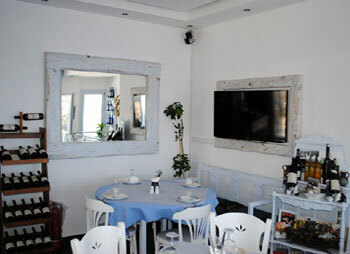 One of our cute spots inside the restaurant on the 1st floor. 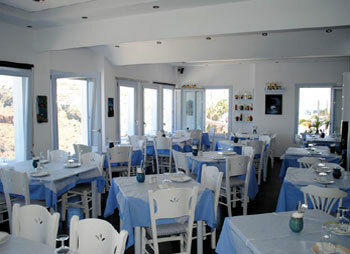 Traditionaly decorated balcony on the ground floor. 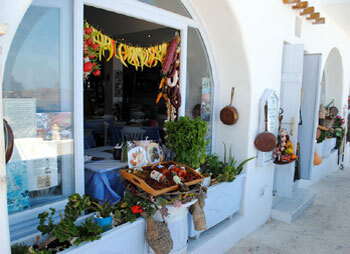 You will find many unique spots in our restaurant like this traditionaly decorated balcony located on the ground floor. 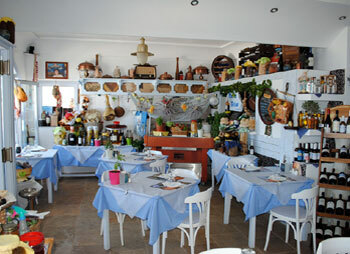 Indoor area on the ground floor. This is the indoor area of the ground floor with an amazing view.